Amazon Music Unlimited review | What Hi-Fi? Amazon’s video streaming service has previously been known as Unbox, LoveFilm Instant and Instant Video before it finally settled on Prime Video. Anyone familiar with Amazon’s identity crisis might assume Amazon Music Unlimited is a rebranded version of Prime Music, the free streaming service exclusively for subscribers of its £8 per month Prime membership. But Amazon Music Unlimited is, in fact, another music streaming service intended to coexist alongside, not replace, Prime Music. It stands separate from Prime, so with its ‘open to all’ access and its 40m song catalogue (Prime Music only has 2m) it’s certainly a more credible Spotify rival. With Spotify’s decade-long dominance in the music-streaming sphere, newcomers have automatically entered the challenge as underdogs. How will Amazon Music Unlimited fare, especially as the pack of Spotify wannabees is increasing all the time? Amazon has decided against matching Spotify’s free tier. Like Apple Music and Tidal, the only scope for free usage of Music Unlimited is within its 30-day free trial. £9.99 per month seems to be the going rate for individual memberships and Amazon follows suit. Its £15 per month family tier (for up to six people) is par for the course too. Individual membership is reduced to £8 per month for Prime members, which is a mild incentive for the millions of Prime subscribers (65 million in the US alone). The competitive pricing doesn’t stop there. You can sign up to a £4 per month tier that lets you use the service on a single Amazon Echo and Dot wireless speaker. We think Amazon has a compelling case here. Amazon Music Unlimited is compatible with smartphones and tablets via its Android and iOS apps; PCs and Macs via either its web player or desktop app; Fire tablets and Fire TVs; some BMW and Mini in-car entertainment systems; Sonos multi-room wireless speakers; Bluesound and NAD BluOS devices. Up to ten devices can use Amazon Music on one account, and music can be downloaded to play offline on the iOS, Android and Fire tablet platforms. Amazon Music Unlimited also works on its homegrown Echo and Dot wireless speakers, as does Spotify. And Amazon has worked to further its service’s functionality, integration and intelligence with its voice-control assistant. For example, saying “Alexa, try Amazon Music Unlimited” gets you up and running with the service. You can ask it to play certain songs, albums or artists (“Alexa, play Stormzy” will shuffle his songs) or, for example, 80s pop. You can even search by lyrics; say “Alexa, play the song with the lyrics ‘hello, is it me you’re looking for?’” and it complies – even if it does choose a cover rather than Lionel Richie’s original. “What cover is this?” we ask. “Zooey Deschanel’s from the Trolls soundtrack” we are told. Like we didn't know. The accuracy is spot-on. Just make sure you start each command with the wake word ‘Alexa’ (which can be changed). Amazon is pretty much neck-and-neck with Spotify, inasmuch as they both claim to have 40 million songs available for streaming. The home page points you to new releases, ‘popular’ and recommended music - it's broadly similar to both Spotify’s and Apple Music’s. We don’t see any immediate gaps in their offering (yes, Taylor Swift is there), and our search for more obscure music artists reveals an even success rate between Music Unlimited and Spotify. Most appear on both. Then there’s ‘exclusives’. Amazon’s strategy may not be as tight as Apple’s, which has secured first dibs on some albums from Drake, Katy Perry and Frank Ocean in the past, but it hasn’t entirely stayed out of the sparring associated with streaming services. Country singer Garth Brooks was a huge exclusive for Amazon Music Unlimited - particularly for its American users, though all of us who've karaoeked our way through If Tomorrow Never Comes should be grateful. Video content has been left on the shelf, though - like Spotify's hi-fi tier, we keep hoping but it just never materialises. 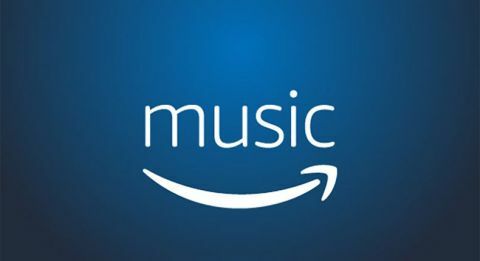 As with Prime Video, Music Unlimited gives you the option of purchasing through its Digital Store, which mirrors the ‘Digital Music’ section on Amazon.co.uk. Rather unhelpfully, though, Amazon has recently binned off its very useful Music Storage plans. Amazon Music Unlimited won’t look or feel alien to anyone who’s ever used a streaming service, or even a shopping website. The slick, navy blue-glazed interface is intuitive, clean and orderly and, although differing slightly across the platforms, it offers a mostly consistent experience. It’s split into three main sections: ‘Browse’ (the streaming service), ‘My Music’ (your local and Cloud library), and ‘Store’. In Browse, you’ll find neat sub-sections for new releases, popular music, recently played, and both personalised algorithmic playlists (and stations and albums) based on listening habits and fixed hand-curated ones, from ‘Topsify UK Top 50’ and ‘BRITs Nominees 2018’ to ‘Pop for Pottering’ and ‘Classic Rock BBQ’ – all created by Amazon’s 'Music Experts’. Need inspiration? Amazon can provide plenty of suggestive guidance, even if Spotify does have the edge when it comes to music discovery and curated recommendations. But there’s scope to break categories, like ‘New Releases’, down into music genres. And it makes good use of its screen real estate: tabs pop out when hovered over, while playlists and offline tracks are accessible in a pullout side bar. The familiar three-dot ellipsis is a neat way to expand functionality, and is where you can buy songs or add them to playlists or your library. The search bar, which can specifically search across the service, your library or the store, brings up suggestions as you type, but instead of clicking directly to them, as you can with Tidal and Spotify, you have to enter the search first. It’s no biggie, but it's another click that may seem unnecessary if you’re familiar with other services. It’s not quite as seamless in operation as its closest rivals either, sometimes getting stuck when you try editing playlists or switching between genre filters. In settings, you can choose your quality preference: Auto (recommended), Best Quality, Balanced Quality and Speed, and Fastest Streaming. Amazon has been coy about revealing its streaming bitrate, claiming to support 'multiple bitrates’, but we’d bet our reference hi-fi system that it’s not dissimilar from Spotify’s 320kbps streams. At best. Listen to the two side-by-side through a budget pair of headphones connected to a smartphone or laptop, and differences are barely audible. It takes an accomplished DAC/headphone combo, such as the Chord Hugo/Grado SR325e, to discern Amazon has a slight edge. It’s a touch better in terms of dynamic subtlety, and there’s pleasantness to its rounder-sounding presentation. The oozing harmonica opening Conor Oberst’s Mamah Borthwick (a Sketch) sounds slightly warmer and more delicately delivered. Ultimately, Apple Music offers the best sound quality of the £10 per month services, even if the differences probably aren’t substantial enough to sway a decision by themselves. MORE: Apple Music vs Spotify: which is the best streaming service? Among the panoply of services in today’s market, is Amazon Music Unlimited a formidable enough competitor to poach punters from its most direct rivals? For Prime subscribers to take advantage of the reduced subscription cost, those happy simply with a dirt-cheap subscription for their Echo or Dot, or Garth Brooks’ biggest fans, absolutely. But with Spotify’s more reliable, comprehensive functionality, and Apple Music’s exclusives and slightly better sound quality, we can’t necessarily say the same for everyone else.